This is a picture of my husband Peter (rock) and me Jennifer (white wave). 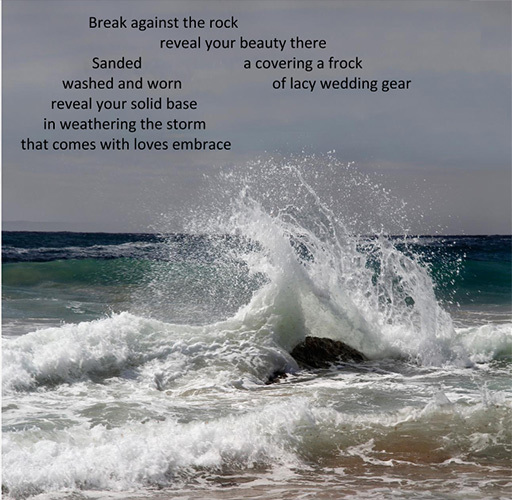 The rock causes the wave to rise up so it's beauty is revealed. It also connects it to the ground, keeping it grounded. The wave washes and makes the rock smooth.